An amazing blend of flavors and texture- definitely a recipe you won’t want to miss! 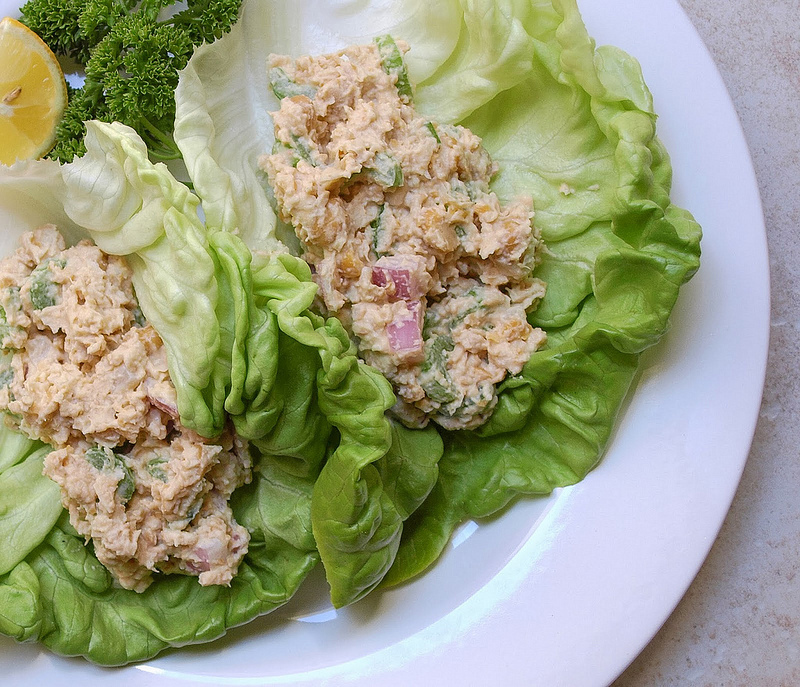 Lou’s Tip: This is so delicious, you can even use the Pate as a veggie dip with celery, place on top of a salad or top cucumber slices or bell peppers! 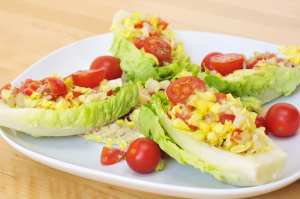 …or throw it on a sandwich with your favorite dehydrated bread or wrap and vegan mayonnaise for the perfect healthy tuna salad sandwich. 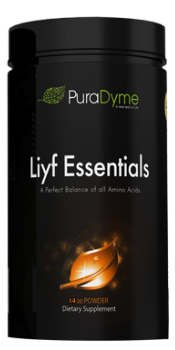 Remember, Lou always recommends taking multiple digestive enzymes with your food. In a large bowl toss evenly Almonds, Carrots, Chopped Celery. Add Kelp Granules, Dulse Flakes and Salt, and mix to evenly distribute. Run the above ingredients through your juicer or blender. You now have the pate! 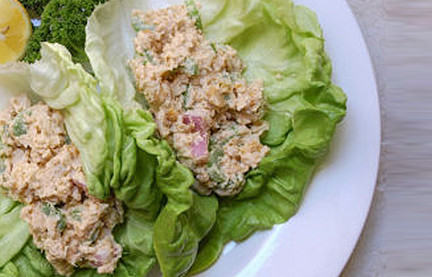 Place the Tuna Pate inside romaine leave or collard greens. Top with sliced cherry tomato and avocado.